For those seeking to work as a security guard in the private security industry. 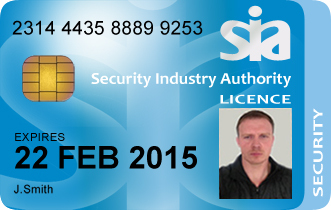 Security sector qualifications are wide reaching and are designed to meet SIA legislation, guidance and best practice. What precisely does a “flexible” ticket mean? If a ticket holder is wanting to change his/her course date it “allows changes” you are entitled to postpone your booking upto 12 months after the original course start date. The security guard Qualification is designed to meet the training and licensing requirements of the Security Industry Authority (SIA) – which regulates the sector under the terms set out in the Private Security Industry Act 2001. This qualification has been accredited by the regulators Ofqual, Qualification Wales, CCEA and SIA. A Level 2 Award for Working as a Security Officer within the Private Security Industry is a pre-requisite for those seeking to work as a security officer in the private security industry. Under the terms of the Private Security Industry Act (2001) individuals working in specific sectors of the private security industry must be licensed by the Security Industry Authority (SIA). One criterion for obtaining a licence is the achievement of a licence-linked qualification. Level 2 Award for Working as a Security Officer within the Private Security Industry provides full coverage of the competences specified by the SIA and therefore meets its requirements for a licence-linked qualification. A Security Guarding licence is required when manned guarding activity that does not fall under the descriptions of door supervision, close protection, cash and valuables in transit, or public space surveillance (CCTV) is undertaken. The Level 2 Award for Working as a Security Officer within the Private Security Industry qualification is suitable for any new entrant to the sector without a previous award/qualification conferring full or partial exemption. I like it, very nice indeed.